The American Academy of Optometry (AAO) recently announced Nova Southeastern University (NSU) College of Optometry Professor Rachel A. “Stacey” Coulter, O.D., M.S.Ed., FAAO, FCOVD, as the recipient of the prestigious 2016 William Feinbloom Award. Coulter was recognized at the Academy 2016 Anaheim Awards Ceremony on November 11, 2016. Coulter is professor and chair of the Optometric Sciences Department at NSU’s College of Optometry. She has served in various roles since joining Southeastern University of the Health Sciences (now NSU) in 1992. She has authored numerous refereed journal articles in publications such as Strabismus, Optometry and Vision Science, Optometry, and Optometry & Vision Development. 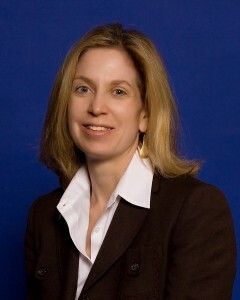 She has also authored a textbook chapter in the 5th edition of Bartlett and Janus’s text Clinical Ocular Pharmacology. She serves on the Editorial Review Board for Optometry & Vision Development and has served as a guest reviewer for several journals. Coulter has significant research experience in the areas of autism and vision, convergence insufficiency, preschool vision screening and ocular motility and attention. She has presented scientific research at conferences and continuing education lectures on topics including binocular vision and pediatric optometry. Coulter is a fellow of the American Academy of Optometry and a fellow of the College of Optometrists in Vision Development. She is a diplomate in binocular vision, perception and pediatric optometry. She has held several positions for AAO, including chair of the Binocular Vision, Perception and Pediatric Optometry Section, vice- chair of the Membership Committee, and two-time member of the Nominating Committee. She also is a past chair of the Children’s Vision Committee for the Florida Optometric Association and was elected as a distinguished practitioner to the National Academies of Practice in 2009. Coulter received her Bachelor of Arts degree from Duke University in 1983 and her Doctor of Optometry degree from the Pennsylvania College of Optometry in 1991. She completed a residency in pediatric optometry and vision therapy at the Pennsylvania College of Optometry.